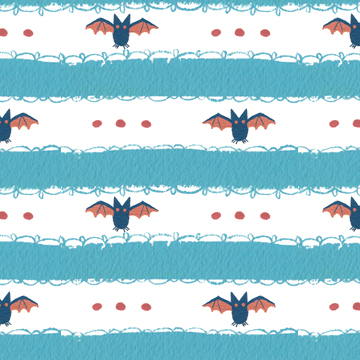 The pattern-making bug bit me today. 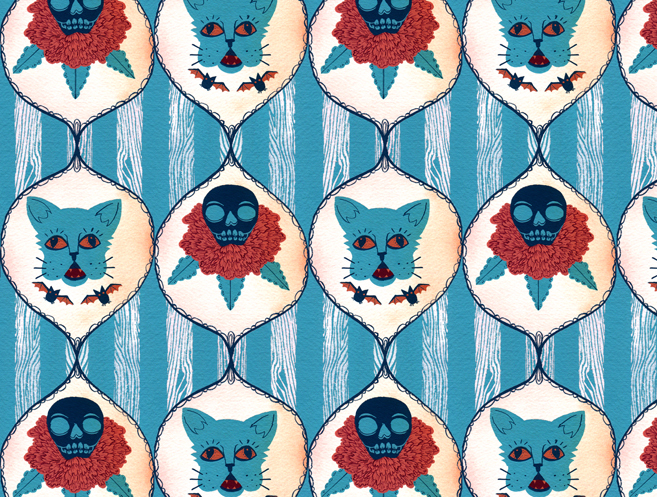 Unsatisfied with my last attempt at making a repeat pattern (which can be seen here), I decided to take a little time today to make a nicer version. And it came out pretty nice, I’d say! I mixed it up a little by including a cat face and some wood grain to the stripes in the back (I love me some wood grain). There’s a few very small registration hiccups, but overall, I’d call this a success. I even made a second coordinating pattern out of leftover bits from the first. UPDATE NOV. 8th: a third pattern, because why not? UPDATE NOV. 8th #2: okay, I’m done now, I swear! 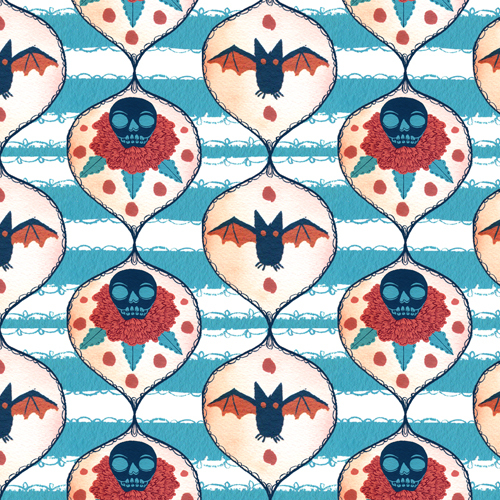 The skulls and cats are so much more slimming than the bats and skulls….but the repetition of dots and angles of bats and skull and horizontal lace bands are quite nice! Haha, thanks! 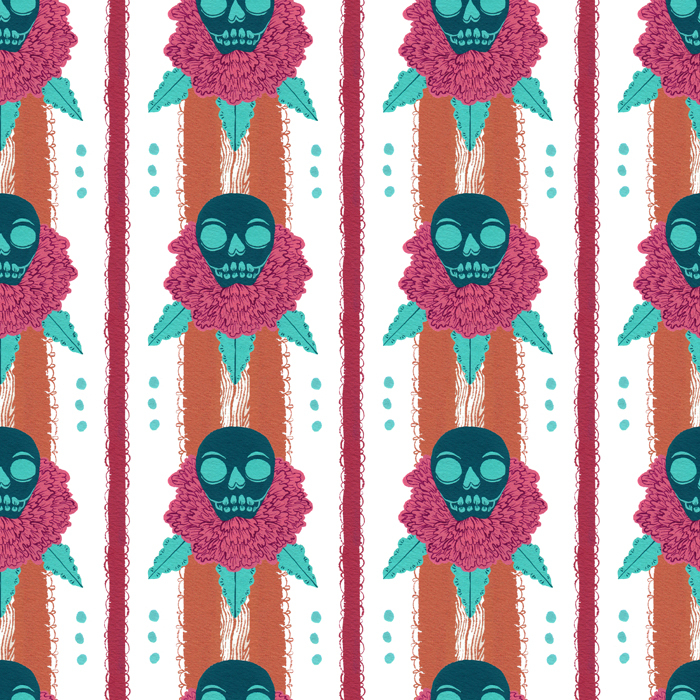 I’m just having too much fun combining all these pieces into different patterns.